We offer the whole range poxy adhesives both 2 component chemical cure systems and one component heat cure systems. Resins used for moulding, filling, transparent adhesives. Please contact us. Very fast cure clear epoxy resin for tough bonding most materials: steel, galvanized steel, glass, plastics, polierethanes, rubber, wood, composites, concrete, ceramics. Open time: 60-90 sec. Fixture time: 2-4 minutes. Fast cure clear epoxy resin for tough bonding most materials: steel, galvanized steel, glass, plastics, polierethanes, rubber, wood, composites, concrete, ceramics. Open time: 3-4 min. Fixture time: 5-10 minutes. 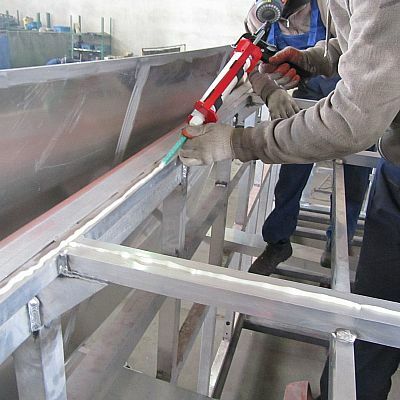 Slower cure clear epoxy resin for tough bonding most materials: steel, galvanized steel, glass, plastics, polierethanes, rubber, wood, composites, concrete, ceramics. Open time: 8-15 min. Fixture time: 20-30 minutes. Liquid epoxy metal composite for metal repair and resurfacing, filling holes and plastics, wood and metal bonding with large gaps. Open time: 4-6 min. Fixture time: 8-15 minutes. 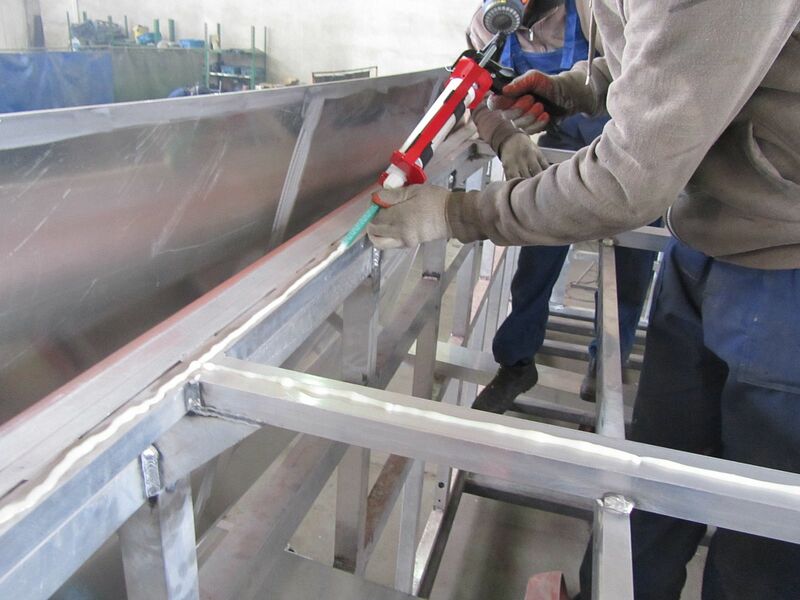 EPOXY METAL STEEL STICK - a 2 part epoxy puty composite for kneeding in hand to apply directly by hand on larg gaps, holes, cracks, leaking pipes, etc. Open time: 4-6 min. Fixture time 10 minutes.